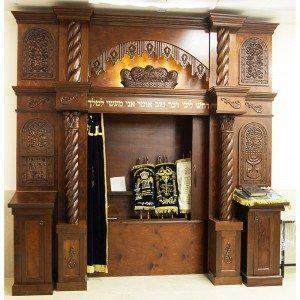 Bass Synagogue Furniture custom designed, produced, and installed The Kiriyat Ya’arim Synagogue in Israel, located in Telz Stone. 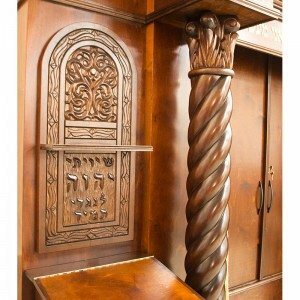 This large synagogue project included a hand carved aron kodesh with twisted columns, bimah, podiums, and about 50 square meters of library book cases. 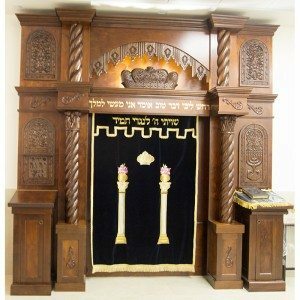 The project was completed before Pesach 2016. 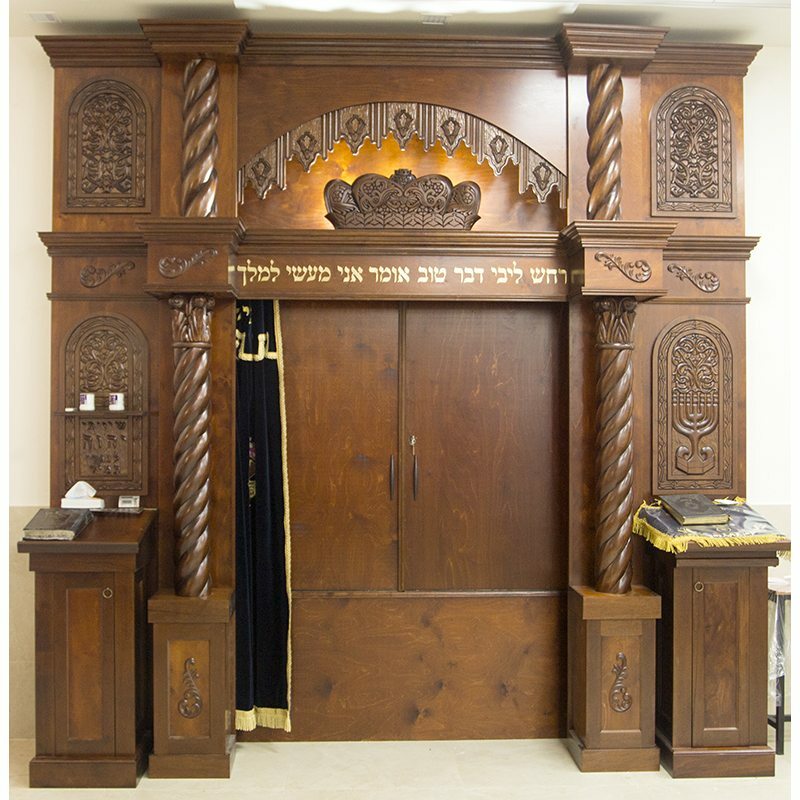 All the woodwork is hand carved on site at the Bass Synagogue Furniture studios, twenty minutes from Jerusalem. 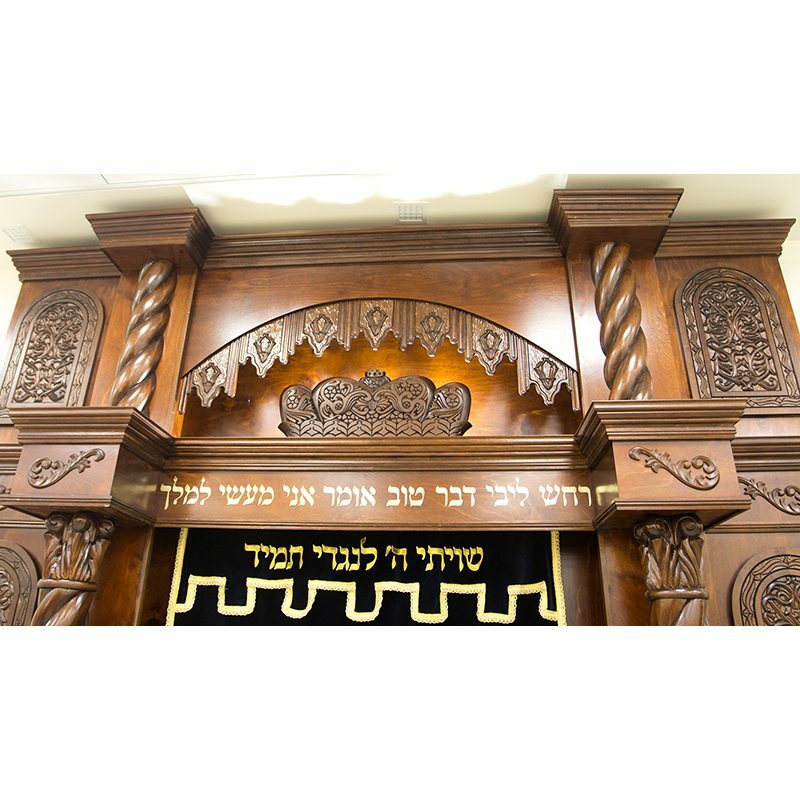 Bass Synagogue Furniture specializes in custom design and construction of synagogue interiors throughout the world. This classic style aron kodesh features hand carved solid wood columns, recess carved plaques. The height above the ark is divided into two floors divided by hand made molding in the same wood as the carvings. 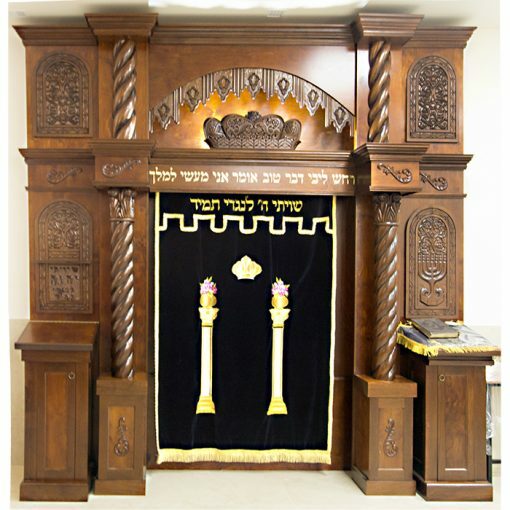 To the right and left of the eastern wall of the synagogue stand two podiums built for the rabbi and chazzan. 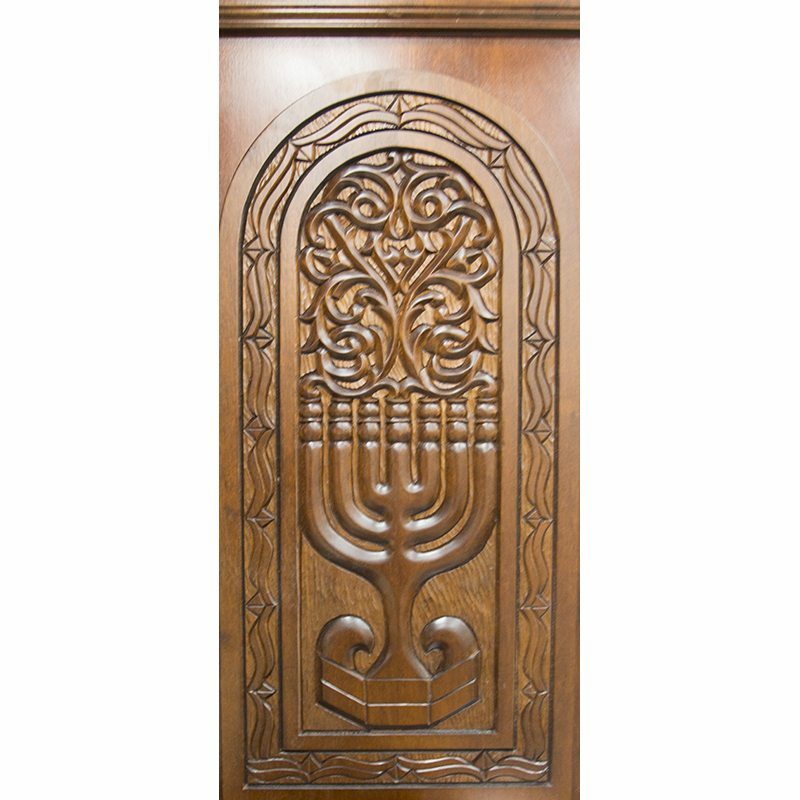 The center crown demonstrates depth in hand carving and hanging wood carved features lit from behind with LED lighting. 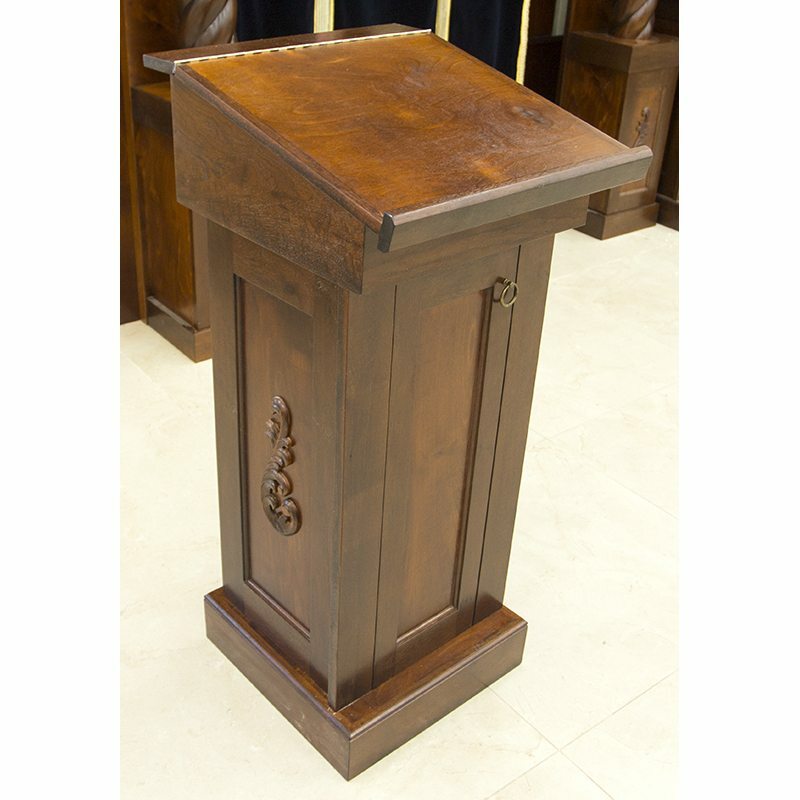 The rabbi’s lectern has a pull out table to drop for sitting position. The bimah features pre-purchased carving and top that opens above. 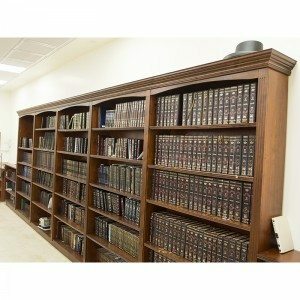 The book shelves are adorned with the the same hand made hardwood molding used above the torah ark and curved top. 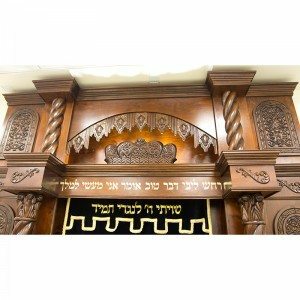 Contact us to work on a custom design for your synagogue interior and furniture. Each Synagogue Interior is custom designed and built according to your specifications, measurements, and stain choice. We will provide you a detailed three-dimensional rendering of your space with the proposed furnishings. 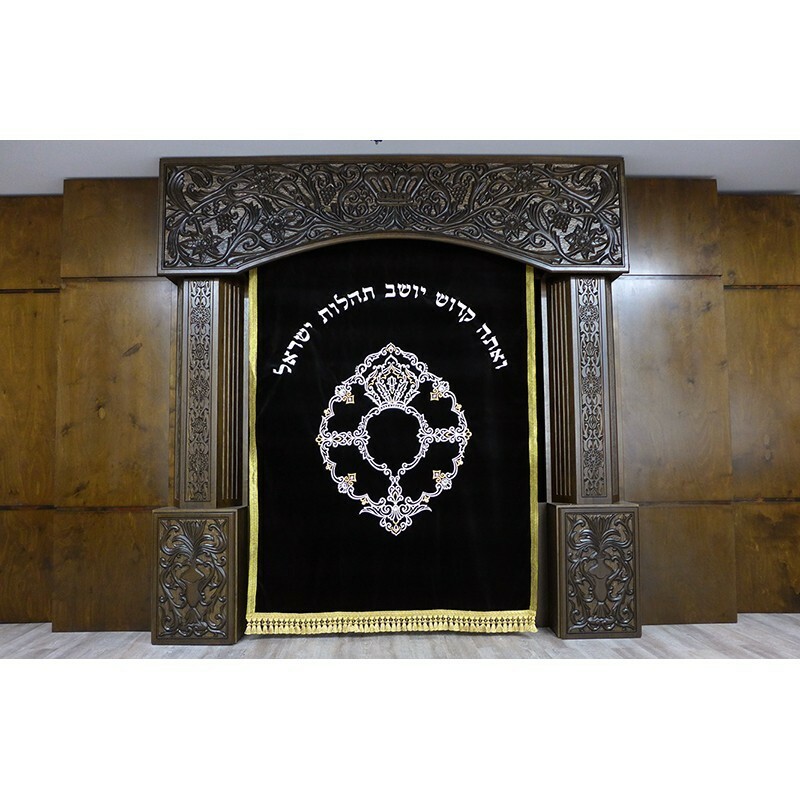 The rendering include beautiful walk through images that actualizes your intended interior design and furniture, which can help continue to raise funds for your project and allow donors to see that they are donated to a real plan that will come into existence. 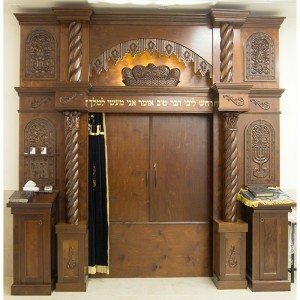 You can picture and image your space. 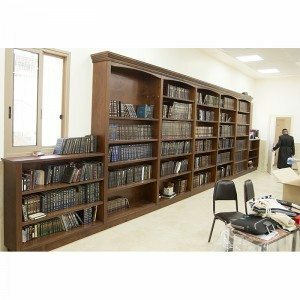 We continue to work with you on revisions until you are fully satisfied with the final design and budget. How to go about customizing your synagogue interior design? 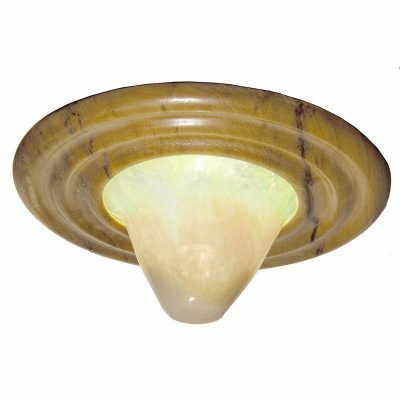 For your free estimate send us an email to [email protected] or fill out the contact form on the website. 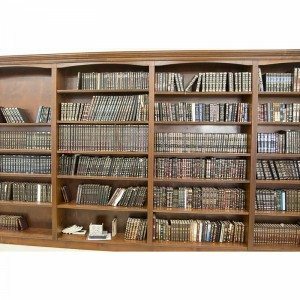 The more you have of the following information the more accurate we will be able to estimate the project and start the renderings. -Take measurements and photographs of your space. -Get a general idea of the measurements you want for the furniture, including heights. 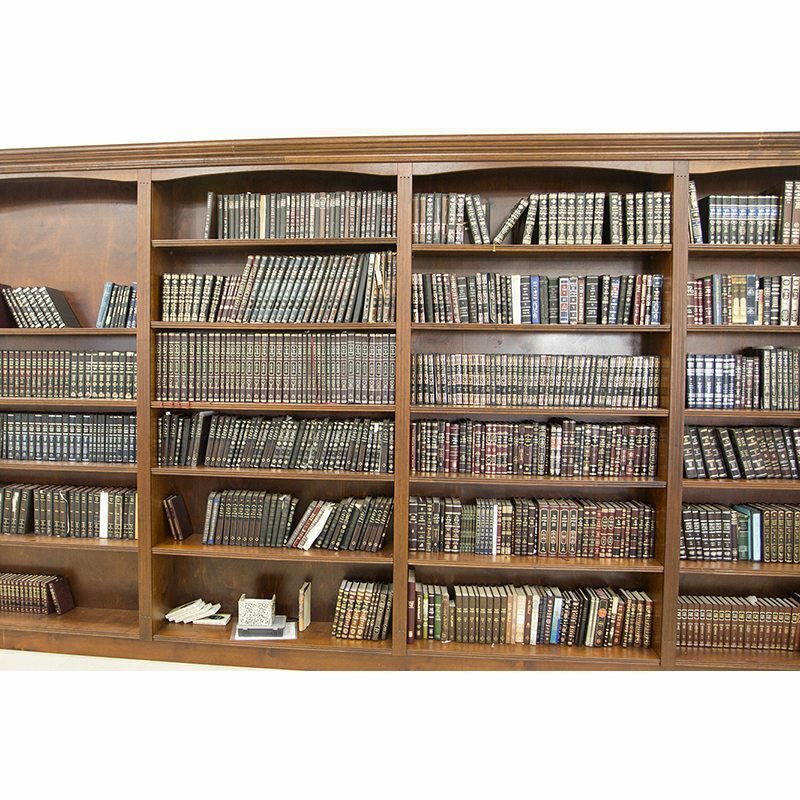 How many torahs do you have? 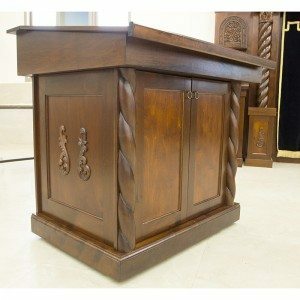 What is the general size of the space, congregation, and synagogue participation? 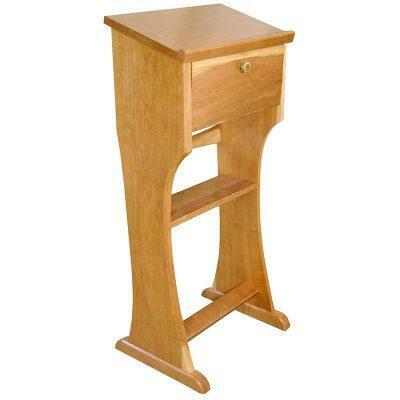 -Browse the various categories on our website for the furniture you need. Let us know if there are any models we have done in the past that would serve you well or that we could use as a departure point for customization. 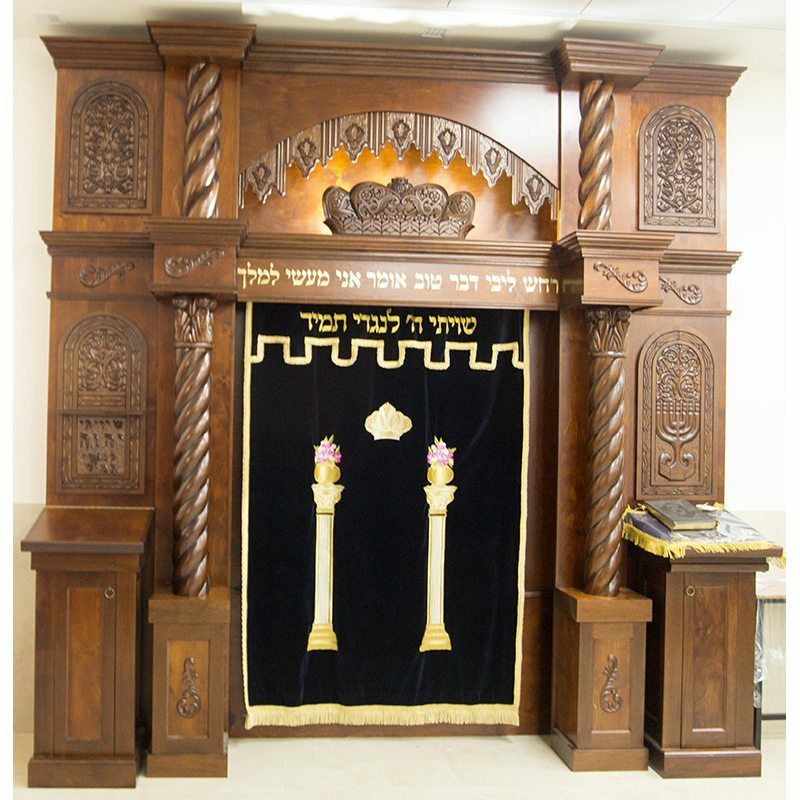 -Will any of the furnishings be portable? If so, how far and how often? -Brainstorm with your committee or any decision makers about which furnishing you need, the style and functional needs. 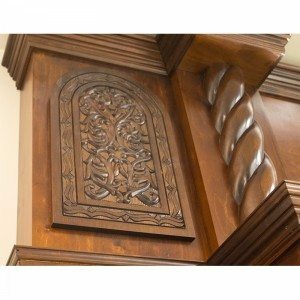 Traditional or contemporary? -Get an idea of your budget. 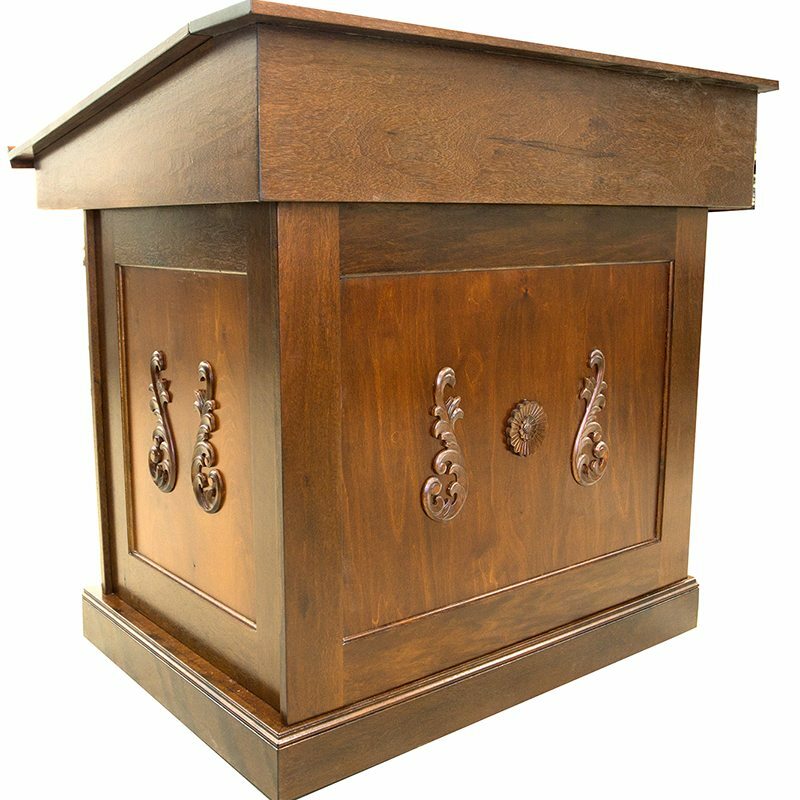 Although we will propose a budget to you based upon your needs, once we start the design process it is important to design accordingly.